Debra and Douglas Johnson '82, shown here with their grandkids, have created a chartiable bequest in their estate plan that will help alleviate financial struggles for future Aggies. Douglas Johnson ’82 knows firsthand the difficulties and setbacks that come with paying your way through school, but with hard work, a strong commitment to his education and a little help from a school-funded scholarship, he was able to make a significant impact in his own life. Before receiving his bachelor’s degree in economics from Texas A&M University in 1982, Doug enrolled at Strake Jesuit College Preparatory High School in Houston. His mother negotiated a scholarship to offset the cost of his private education. The scholarship covered one-third of his tuition, while the remaining two-thirds would be covered by Doug and his mother. To cover his part, Doug was assigned odd jobs by the school to be completed around campus, which sometimes included cleaning classrooms after school each day. He was committed to earning his portion of the tuition, and he worked as much as he could to ensure he could continue to attend Strake Jesuit. Armed with four years of college preparatory experience, Doug made his way to Aggieland in 1978. Again, he worked all four years at school, waiting tables at Pelican’s Wharf Restaurant and giving up much of his social life to save up money for school. 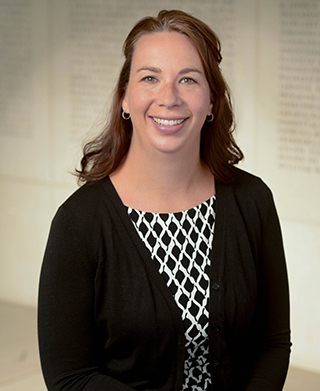 In 2005, Doug’s daughter, Ashley, graduated from Texas A&M and learned about the importance of working hard to solidify her future, similar to her father. “It was up to Ashley to pay for her tuition while she was in school,” said Doug. “She would present her grades to us and receive half of it back, but this way, she had skin in the game and knew it was up to her to make it happen.” The deal between Ashley and her parents allowed her to have the experience of campus life that Doug never had but also made her accountable for her education. To give back to students struggling with financial aid, much like Doug, who have worked hard but are unable to afford higher education, the Johnsons decided to contact the Texas A&M Foundation and include a planned gift in their trust. After talking with the Office of Gift Planning, they learned they could make the biggest impact through a charitable bequest, funding scholarships for students at Texas A&M with financial need. By including the Texas A&M Foundation in your estate plan, you can make a charitable bequest to Texas A&M and retain your assets during your lifetime, lessen the burden of taxes on your family and support the students, faculty and programs at Texas A&M. A bequest can be made as a gift of a percentage of your estate, a gift of a specific asset, or a gift from the balance or residue of your estate. The Johnsons plan to move to College Station after retirement and spend more time enjoying the campus, sporting events and life here in Aggieland. 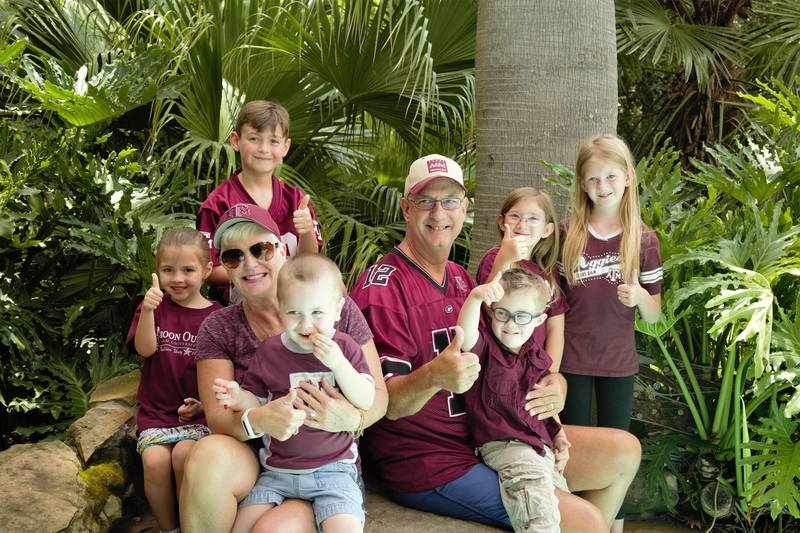 With seven future Aggie grandchildren, Doug and Debra hope that they will have the opportunity to experience the culture, passion and knowledge that Texas A&M holds. To learn more about making a bequest in your estate, contact the Office of Gift Planning today or request an Estate and Gift Planning kit to assist you with your plans.